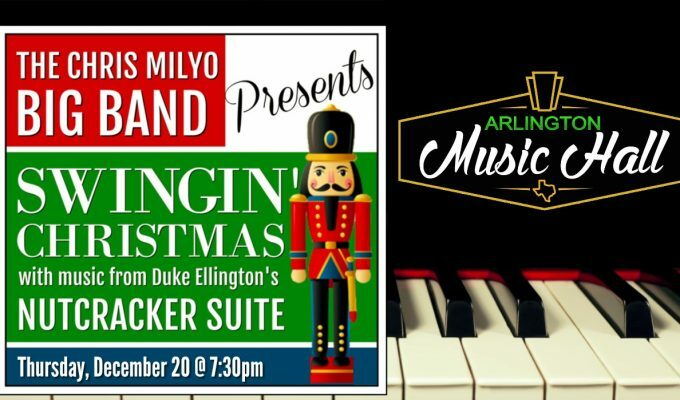 Back by popular demand for a second installment, “Swingin’ Christmas” brings the Chris Milyo Big Band with special guest vocalist JE McKissic to our historic stage and will feature Duke Ellington’s Nutcracker Suite in its entirety – along with other selections to warm your heart and get your toes tapping! If you’re a lover of swingin’ jazz music, you don’t want to miss this holiday show! About the Chris Milyo Big Band: The Chris Milyo Big Band was formed to showcase the high quality of musicianship that the Dallas-Fort Worth area has to offer in a big band setting. Featuring some of the country’s finest musicians and composers, this world class group’s expressed purpose is to keep the spirit of swing music alive, while incorporating contemporary styles.